is more than the barren, forgotten, remote and deserted island with, nevertheless, some endless beaches as described by most travel guides. In colonial times abused as a back-yard of slavery and exploitation in the times of the salt-trade, Maio has started to free itself from structural misery since independence. Where there was just one primary school in 1974, all children go to school today. There even is a grammar school leading up to form 11. All villages have electric energy and the ring of paved roads will close soon. Many houses are under construction in Vila do Maio. A modern harbour, a banc, two filling stations, a car-rental, all that has already emerged and hopefully a little hospital will open its doors in the next future. As life continues quiet, the few foreign visitors, coming just for a week for water-sports and total relax, hardly discover the historically unparalleled social development of the island going on in modern times. Tourist Infrastructure is dominated by simple and friendly local guesthouses, where everything works out slowly and where guests become part of the day-to-day culture of a small town. 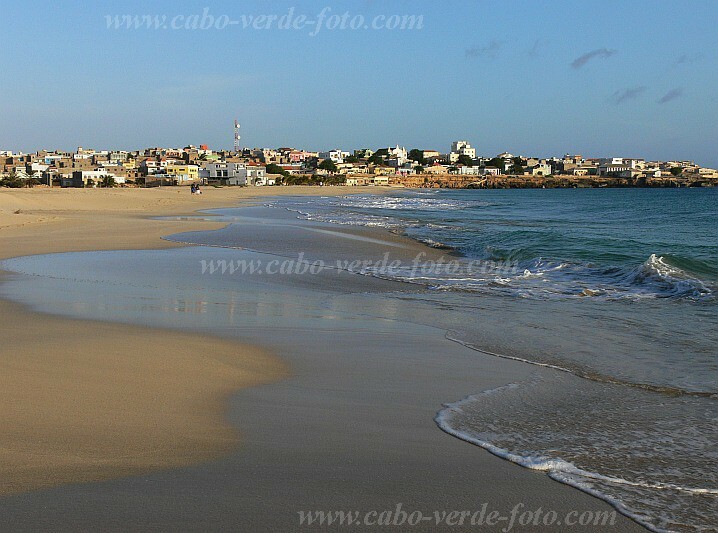 There is one only, lonely spanish Beach-hotel called Bela Vista at the bright beach of Morro. Strengthened Ferry services and six domestic flights per week improve the access for international beach tourism siginificantly and have starte a real state boom in Maio smaller but similar to the other beach islands.